Marble mortar and pestles are a centuries-old kitchen tool used to grind and crush a variety spices and herbs. 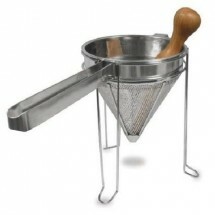 This method is still considered by many chefs to be the best way to release the true flavors of fresh herbs and spices. 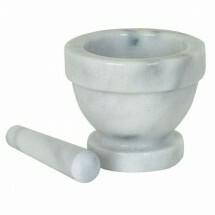 Mortar & pestles can also be used to grind grains and make pastes, pesto and other sauces. 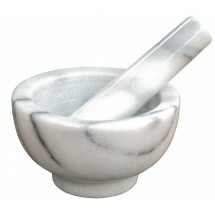 Shop TigerChef for beautiful marble mortal and pestles from Tnunder Group at our great online prices.